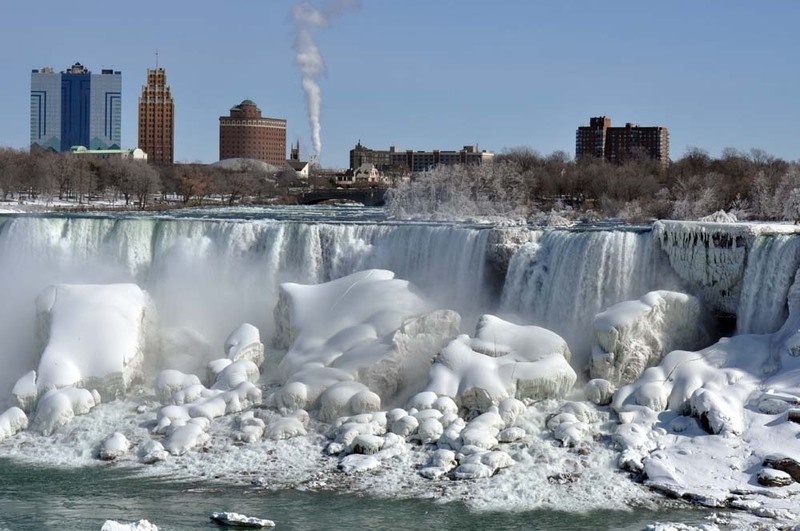 Niagara Falls is certainly very beautiful and impressive on a sunny winter day. The scene is like a winter wonderland with every tree near the Falls covered in ice and glittering in the sun. If you have visited Niagara Falls in summer you may be surprised by the beauty. It almost hurts the eyes because of the dazzling spectacle of ice. Niagara Falls does not shut down in the winter but rather springs into life with many activities both indoors and out. The ever popular outdoor skating rink located right in Deveaux Woods State Park is a popular activity. Hyde Park Boasts a spectacular Holiday Light Display as well. Book your winter accomodations at the Quality inn today.